My husband and I wrote our own wedding vows, and one of the things we vowed was to always protect each other. There are many ways of protecting one another—protection from physical harm, emotional protection, financial protection, and even in the future for whichever one of us outlives the other, protecting the other person’s memory and legacy. But there’s one that I hold as a unique and especially sacred duty: we each protect the other from their own awkwardness. Being an INTP and INTJ, we are incredibly awkward people. We don’t pay attention to social norms, or we just don’t care about them. We say and do things without being aware of how we’re perceived by other people. We don’t know a lot of common-sense things that everyone is supposed to know, and we make a lot of social blunders. I often feel like I am the biggest victim of my own awkwardness. When I say or do something awkward in the presence of others, even if they don’t say anything about it (which they often do), a look of recognition will pass over their eyes for a moment, a look that says, “that was awkward, and I feel sorry for you.” That look is my own awkwardness bouncing off of them and coming back to attack me. It magnifies my awkwardness to see it reflected back in the words or expression of others, and it destroys my social motivation. It can happen with anyone and at any moment, and sometimes I dread social interactions because I fear being attacked by my awkwardness. With my husband, I was never afraid of that. He always absorbed all of my awkwardness so I never had to face it again. He passed by every opportunity to magnify my blunders, and every time he did it felt like a gift. That was one of the first things that made me feel like I belonged with him. And even though we are both awkward, we are awkward in different ways, and our awkwardness cancels each other out because we both want to bring out the best in each other. We protect each other from being victims of our own weaknesses, of which awkwardness is one. Of course, protecting each other from awkwardness is a fine line because another sacred duty of intimate relationships is making fun of your partner when they do stupid things. So you have to learn to quickly distinguish between awkwardness and stupidity. You have to know when calling attention to your partner’s blunders would cause them shame and embarrassment, and when it would bring great mutual enjoyment. This intimate navigation of the sea of awkwardness has made me more aware of awkwardness in a wider sphere. I’ve taken it as my duty to protect other awkward people from their own awkwardness, especially other INTP’s, because we are the most awkward people of all. When I recognize someone making an awkward blunder, I try to absorb the awkwardness so they don’t have to be doubly punished for it. If the faux pas occurs in a group setting, I try to intercede so the conversation doesn’t linger over the reflection of their awkwardness in the stagnant looks and comments from others in the group. I resist the urge to say the words that would come the easiest, those that would magnify their embarrassment, and it feels like a sacrifice to give up the witty remarks that for me are so hard to come by. It’s hard for us INTP’s to belong. It’s hard for us to make witty conversation, to feel a part of a group, and often the easiest way to do it is to seize on another person’s awkwardness and allow them to pay the price of discomfort in exchange for our momentary feeling of belonging. I’ve never found a true place of belonging apart from being with my husband, but when I try to protect someone else from feeling the shame of their own awkwardness, it feels like we are part of the same tribe. 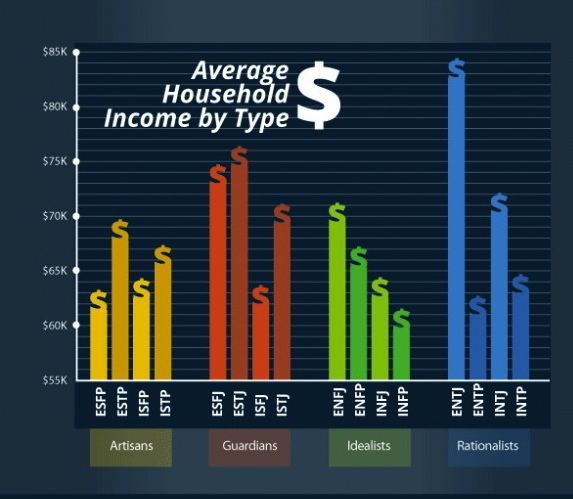 Among Myers-Briggs types, INTPs are probably the type least likely to have children and the type least suited to stay-at-home-parenthood, and it’s not hard to figure out why. 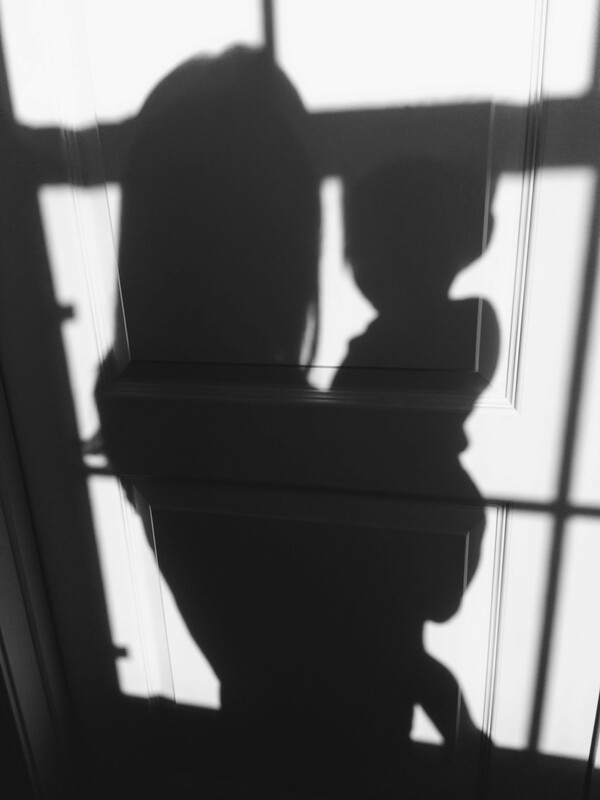 You constantly have a little person in your face and never get a moment of silence or solitude, which is draining for I’s. You deal mostly with basic physical needs of a person who (as an infant and toddler) isn’t capable of abstraction, which is boring for N’s. You need a lot of patience, empathy, and emotional responsiveness because young children are irrational by nature, which is challenging for T’s. And you need an ability to self-regulate and an organized system to counter the chaos, which is not an easy task for P’s. All of this leaves me utterly exhausted, mentally starved, and emotionally drained at the end of the day. Then there are all the extraneous activities that typical SAHMs spend a lot of time on: crafting, baking, sewing, knitting, decorating, S-type activities ad nauseum. I completely avoid those activities, as I can’t think of anything less interesting. This is the beginning of an ongoing series on the differences between INTJs and INTPs, as I observe them in my husband and myself. I used to think these two types were very similar, but being married to an INTJ has quelled that misconception. Of course there are many obvious differences between P’s and J’s—P’s like spontaneity, J’s are planful; J’s are organized, P’s are scattered; P’s are indecisive, J’s like to reach a quick conclusion. But as I continue to learn more about myself and my husband, there are many interesting differences between us that are unexpectedly influenced by our Myers-Briggs types. My husband and I often talk about what our lives were like before we met and how they have changed since. I think that I was happier as a single person than he was, but since we’ve been together, he is happier than I am when we’re apart. (Our relationship was long-distance from the beginning, and our marriage is still quasi-long-distance thanks to his job.) This has to do with our ability to live in the moment, and whether our minds are naturally oriented to the present or the future. As a P, I am able to live in the present really well because I’m constantly taking in information about present experiences and processing them. While I was single in the years between college and meeting my husband, I filled my life with activities and experiences that I enjoyed doing alone. My future was open, and even though I wanted to fall in love and have a family, I knew there was a possibility that might never happen, and I was okay with it because I was happy. My husband’s mind-space is always in the future because as a J, he loves to make plans. It was always his goal to have a family, and many of his other plans and decisions in life depended on it. Without that piece of the puzzle, he wasn’t able to proceed with other plans, and he wasn’t able to enjoy the present when the future was unknown. When we’re apart during the week, he doesn’t feel very lonely because the big picture is still present to him. Having our family motivates him and gives him the sense of purpose that he needs, whereas I am more prone to forgetting things that are not present. I enjoy the “now” of being with my family more than our future plans. The future is much more tangible to my husband than it is to me. As long as the future looks bright, he is able to be happy even if the present is dull. If the future is bad or unknown, he can’t enjoy the present even if it’s good. I am the opposite; I can live in the moment and enjoy the present no matter what the future looks like, but if the present moment is crappy, it affects me a lot even if the big picture looks bright. Do your thoughts live mostly in the present or the future (or the past)? What’s your Myers-Briggs type? Learning about Myers-Briggs personality types has helped me in so many ways, but for a long time I thought it was no better than a horoscope. Almost every online quiz I’ve ever taken told me I was an INTJ, and some aspects of it seemed to fit me, but some were way off. So even though I’ve known about Myers-Briggs for a long time, I didn’t give much weight to it until four years ago. Finding out that I was an INTP was earth shattering. I should have taken the official MBTI, but I discovered it on my own when, after yet another online quiz told me I was an INTJ, I happened to read some short descriptions of the other types. The description for INTP seemed to match me better, so I read some more detailed profiles of INTPs (this is my favorite one). I realized that I was reading all about myself, down to the tiny little quirks and strange habits that I thought nobody else shared or even knew about. Even things that I thought were beyond the domain of personality, like my lack of interest in pop culture and my propensity to burst out laughing at inopportune moments because I remember something funny from two weeks ago, were apparently hallmarks of my personality type. I had always thought I was weird, because I had never met another person like me. Now I knew for the first time that I was not weird; I was a perfectly normal INTP! My Myers-Briggs type accurately explained, or at least described, almost everything about me. This revolutionized my life. It changed everything from my self-esteem to the way I interacted with the world. By knowing that I was in fact completely normal, I no longer felt like I had to conform to social expectations of personality—which is a good thing, because studies have shown that in American culture, the most favored personality type for women is ESFJ, my exact opposite. Reading more in-depth about INTPs taught me about how I could grow as a person in a way that was in line with my personality. I felt free to pursue my full potential as an INTP instead of focusing my energy on pursuing the ESFJ skills and interests that I was pressured to adopt. I can grow a lot more in the natural direction of my type than if I tried to go against the grain. Knowing about Myers-Briggs also helps me to better understand others. After learning about each of the personality types, cognitive functions, and their traits (and using my iNtuition and Perception), I am able to figure out someone’s type quite easily, and this really helps my interactions and relationships. I am able to have more empathy for those with personalities that clash with mine, or who have values or opinions that I don’t understand or agree with, because I can see when they are influenced by their Myers-Briggs type. When I don’t understand why someone is behaving or thinking a certain way, knowing their type can help me determine whether they truly are being irrational or unreasonable, or whether their behavior is logical in accordance with their type. Myers-Briggs is a great help in my marriage, by helping me and my husband to understand each other better and get to the root of many of our differences. When conflicts arise, it helps to know whether they are due to personality type differences, background and values differences, or whether one of us is being illogical. And as a parent, I am always mindful of my type’s natural strengths and weaknesses, so I know what I need to work on and how I can use my INTP-ness to be the best mom I can be. As my daughter grows up, I will be mindful of her Myers-Briggs type so I can better meet her needs and help her grow into her full potential. I hope it also helps her to understand her parents better.